Hemodialysis patients have conditions that increase cardiac output (CO), including arteriovenous fistula, fluid retention, vasodilator use, and anemia. We sought to determine the relationships between these factors and CO and to evaluate the effects of the high-output states on ventricular morphology, function, and myocardial energetics in hemodialysis patients, using noninvasive load-insensitive indices. Cardiovascular function was assessed in hemodialysis patients with high output [ejection fraction ≥ 50%, cardiac index (CI) > 3.5 L/min/m2, n = 30], those with normal output (CI < 3.0 L/min/m2, n = 161), and control subjects without hemodialysis (n = 155). As compared to control subjects and hemodialysis patients with normal CI, patients with elevated CI were anemic and displayed decreased systemic vascular resistance index (SVRI), excessive left ventricular (LV) contractility, larger LV volume, and tachycardia. 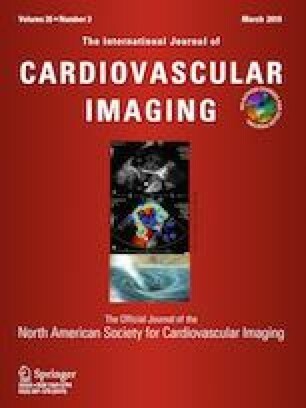 Lower hemoglobin levels were correlated with decreased SVRI, excessive LV contractility, and higher heart rate, while estimated plasma volume and interdialytic weight gain were associated with larger LV volume, thus increasing CO. High output patients displayed markedly increased pressure–volume area (PVA) and PVA/stroke volume ratio, which were correlated directly with CO. The use of combination vasodilator therapy (angiotensin-converting enzyme inhibitor/angiotensin-receptor blocker and calcium channel blocker) was not associated with high-output states. In conclusion, anemia and fluid retention are correlated with increased CO in hemodialysis patients. The high-output state is also associated with excessive myocardial work and energy cost. The online version of this article ( https://doi.org/10.1007/s10554-018-1472-4) contains supplementary material, which is available to authorized users. The authors thank RMSs. Kenya Okada, Tomoko Takada, Kanako Niwa, Takahiro Ikoma, and Keiko Morita for their assistance with the echocardiographic studies. Dr. Obokata received research funding from Kureha Corporation, Tokyo, Japan. The sponsors were not involved in the study design, data collection, analysis and interpretation, and preparation of the manuscript.